Freeze! With Cold Powers, you can make that more than just an order to crooks. 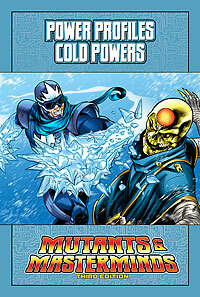 Cold controlling characters can create ice and snow, chilling temperatures, and use ice as a weapon, armor, and mode of transportation. Put your foes on ice…literally! For M&M Third Edition.